Festival Fantasies » Soham Whispers But Loudly !!! Yeah .. August & September, these two months are full of festivals and events .. First there was 15Th August – our independence day .. Then we just bid adieu to the great festival of Janmashtmi and we are back to celebrate one another auspicious occasion which is full of fun, joy and zest .. Yup, it’s time to celebrate Ganesh Chaturthi ..
Lord Ganesh is also one of the prominent gods of Hinduism .. We worship Lord Ganesh before commencing any new work, business, ventures or studies .. This festival of Ganesh Chaturthi is celebrated in a grand style and by milions of people throughout India but the state Maharashtra has got its unique style of celebrating it like a big carnival .. One can see millions of people literally walking, dancing, singing in a procession on the road by lifting Ganeshji‘s idol on their shoulders and then immersing it in the lake, river or ocean whichever is of convenience .. This process is knows as Ganesh Visargan .. It’s always fun to watch it in Mumbai ..
Holy festival of Paryushan of Jainism is also going on these days .. 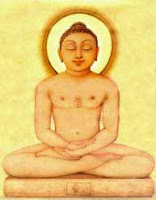 I studied in a Jain school and most of my school and college friends are Jain too .. My wife is also Jain so I have got some good knowledge about Jainism too .. I know Navkar Mantra and I recite it every day along with other prayers .. Jain people restrain from eating onion, garlic, potato and other green vegetables during the days of Paryushan .. Some do fasting for 3 days, some for 8 days and some even continue fasting for 16 days .. In Jainism, during fasting only boiled water is allowed to have and that too before sunset .. This is really tough – really really hard .. My taste buds always overpower my brain and my heart so I cannot fast .. Not for a day – not even a half day .. Fasting is not my cup tea .. On the last day of Paryushan, they wish Michhami Dukkadam to everybody .. The meaning of Michhami Dukkadam is : Intentionally or unintentionally if I have hurt you anytime then I ask for your forgiveness for the same .. Happy Paryushan to all and Michhami Dukkadam to you all too !! 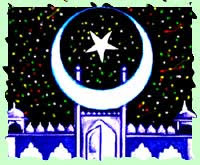 For Muslims, the holy and auspicious month of Ramzan(Ramadan) is also beginning .. So Happy Ramzan to all the Muslim brothers worldwide .. So enjoy the fun of festivals .. Feel fresh, relaxed, calm, joyous, jolly, cheerful and happy during the festive season .. Holidays in the school, office etc will be the icing on the cake .. So have fun guys !!! Ohh fasting is not my cup of tea too!! I have done only one fast in my life till now. Michchhami Dukkadam!! to you and all! I fasted for two days (chhath!)phew!! I used to love this August and September months during school times . Need not to say because of holidays :-). Happy Ganesh Chaturthi to you too .. I am curious to know when did that maiden fast take place?? Dont think too much Neha ..
Ab hamari to umar gayee sab fantsies ki .. and you too sailing in the same boat recently .. After all, u too hv got ur hubby !! Wow .. That is goood ..
Fasting at least helps you to clear out ur stomach and intestines if not ur attempt to please GOD ..
Oh wow !! One more festival .. I hv just heard about Onam but I dont know why is it celebrated and how?? .. SO let me google it for the information .. Thanks for reminding me !! I m glad that u liked the post !! 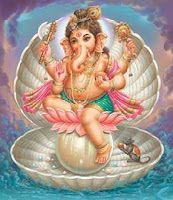 Thnks and happy ganesh chaturthi to you too..
Any special plans in US for Ganesh Chaurthi?? .. Well, it’s a long weekend so I guess there must be some..
Oh yes buddy !! .. I too loved all the holidays during august- september ..
cricket and TV were on the cards for me at tht time !! But its not a festival nomore so its ok…!!!!!! Wah wah Laadwa .. Jalsa karo !! B’day is a festival in its own way ..
Ganapathi Bappa Morya, Purchya Varshi Laukar ya!! Hey .. I guess it’s ur first visit to my blog .. m glad that u post a comment .. Do visit it often . Yeah, dashera is on the way .. I m always redy for the festivals ..
Michhami Dukkadam to you too !! I did not get you what you wanted to convey or ask?? Forgive me for being late to reply. I do come back!! check ur last post. My grandfather was born on Ganesh Chaturthi so that festival is extra special to me. Areee .. U dont hv to be sorry .. I was just kidding .. I can understand that u r living a dual life and that is making u drain out both mentally and physically .. But i’m glad that u came back and responded .. Thanks a ton for tht ..
Wow !! .. It surely is a very auspicious day to hv a birth .. I was born on RamNavmi (Birthday of Lord Ram) ..